Night On A CornfieLD is the fourth in a series of free EPs from Electrypnose’s 2to6 Records, Switzerland. This time the focus is on the fast and furious beats of Mergel, a Russian psytrance producer who recently compiled Nervous Disorder for Psymoon Records. Expect to have your mind blown wide open by glitchy rhythms and horrific soundscapes as you take a trip to the menacing countryside at night! Mastered by xaBBu with artwork by Ayalien. MP3 Download | FLAC Download | WAV Download · Download count: 10,269. 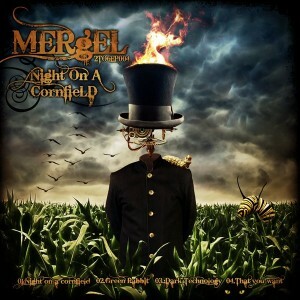 Wicked Dark Vibes Mergel! All the best for you bro Bo0M! its really stuff,everything in high Q:cover,label&music all of this very fit 2geter. WOHAAAA!!! Ulta-brutal mind blowing! Thanks! Very nice!! enjoyin full power sounds. love the sound design for percussion and the energy infused in every track! my all time favourite ep in ektoplazm period.